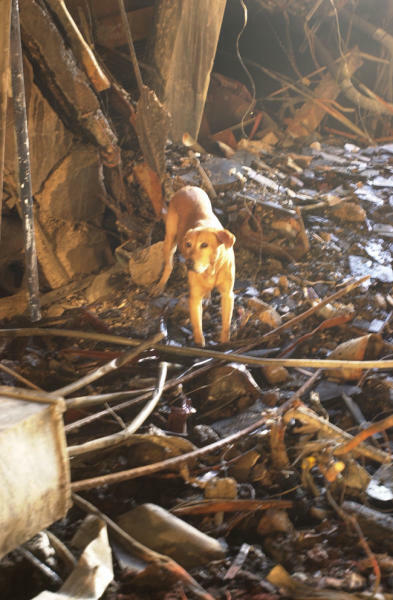 Description: Arlington, VA, September 14, 2001 -- Gus, a rescue dog from Tennessee Task Force One Urban Search and Rescue team searches the crash site at the Pentagon. Oh my god....it looks like another dog- hero....beautiful animal. Very touching photo. It has brought tears to my eyes. Excellent work you do Gus. Thank you for all you do.